There is no substitute for practical market knowledge and experience. Uyemura Hong Kong has been operating for more than 25 years in the region. So we know the Hong Kong and China markets intimately and know what our customers need and want. Due to the depth of local knowledge we command, our company is able to offer valuable information to customers, for instance, about operational parameters and environmental regulations on the mainland, thus increasing the likelihood of success in this intricate market. Uyemura’s partnership with its clients far exceeds the typical vendor-customer relationship. 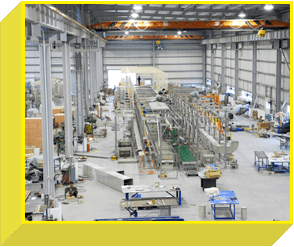 We attend to our customers’ operational, maintenance and repair needs not only during the duration of an assignment but also in the subsequent years of the project’s life-cycle. Uyemura Hong Kong delegates a Customer Service Representative as a single point of contact to every customer and handles all their technical and servicing needs. This will remove all ambiguity over who to communicate with whenever any need or contingency event arises. Its end-to-end integrated supply chain solutions create value and deliver measurable results for every customer. Uyemura Hong Kong is able to adjust quickly to our customers’ dynamic product, operational and technical needs in the ever-changing marketplace. It listens attentively to its customers’ needs and serves them every step of the way to meet their expectations. 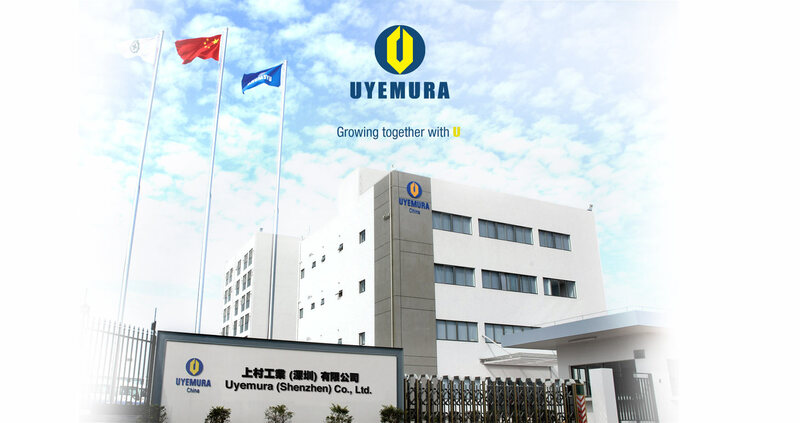 Uyemura International (Hong Kong) Co., Ltd. was established in 1986 to provide chemical solutions and facilities for electroplating, electroless plating and other surface finishing processes, catering to various industries in mainland China and other emerging markets of Asia. 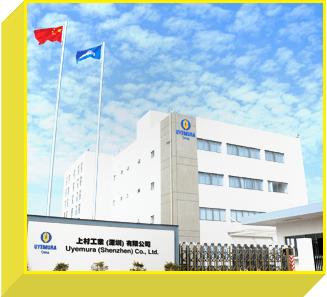 Manufactured by our 26,000 sq metre factory in Shenzhen, Uyemura (Shenzhen) Co., Ltd., these products are tailored to the needs of different sectors, from semiconductors and PCBs to automobiles, electronics, decorative plating and several others. Backed by professional third-party accreditations including ISO 9001:2008/ JIS Q9001:2008 and ISO14001:2004,our products were subject to stringent quality control to ensure they remain free of quality defects and hazardous substances and meet the compliance requirements of the international export markets. Our growing presence in Shenzhen, Zhuhai, Shanghai, Suzhou and Yantai, coupled with the two chemical laboratories operated by us on the mainland, provide a robust network of contact and support to our clients. Apart from our superior-quality products, Uyemura International (Hong Kong) Co., Ltd. is also committed to providing a personalized, one-stop range of service and technical support for the different product types it offers. - Uyemura International (Hong Kong) Co., Ltd.
- Uyemura (Shanghai) Co., Ltd. Copyright © Uyemura International (Hong Kong) Co., Ltd.